If this “human interest” story is so powerful, then just exactly what is it? A human interest story is a story that is about, what else, people. It is a story that will cause your audience to take interest in the people that the story is about. The reason that a human interest story is so effective is because you will be presenting it in an emotional way. The person that is at the center of your story has problems, concerns, or is trying to achieve something that your audience is going to be able to identify with – they have those same problems, concerns, or are trying to achieve the same things. More often than not, a human interest story is really the “story behind the story”. Your audience may know something about some event or some person’s great accomplishment. What they may not know about is what you’ll cover in your story: how that event came about or how that person was able to overcome all obstacles in order to achieve their great deed. This is what is going to capture and hold their attention during your speech. So now that you know what a human interest story is and how powerful one can be, what should you do with this new knowledge? That’s actually pretty simple – use it! You have a number of different human interest stories that have occurred in your life that would make great material for use in your next speech. What you have to do now is to sit back, remember them, and then determine how you want to work them into your next speech. 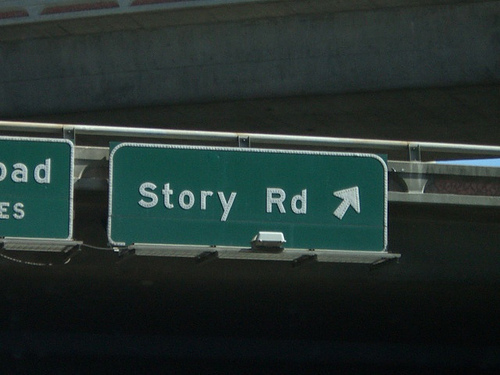 One type of story that your audience will be eager to hear is what is called the “inside story”. This is any story where you can reveal what went on behind the scenes of some event. Sure, your audience may be familiar with the event that may have been a smooth flowing professional presentation. However, what they really want to know about is the chaos that went on behind the scenes and how the end result was made to look so good. Another type of human interest story that can grab an audience’s attention is the use of trivia. We all know how popular the “trivial pursuit” game was a few years back. Clearly we all have an interest in even the smallest facts. If you can start out your story by presenting some trivia and then follow it up with more information, you’ll have your audience eating out of your hands. The ability to get our audience to pay attention to what we are saying while we are saying it and to get them to remember what we said long after we are done should be the goal of every speaker. It turns out that we have a powerful tool that we can use to make this happen: the human interest story. These emotional stories focus on people who are facing problems or challenges in their lives and they detail how they dealt with these issues. Your audience will respond to these stories because it will seem to them almost as though you are talking about them. Good sources for creating your own human interest stories include sharing inside stories or using trivia to capture your audience’s attention. Question For You: How many human interest stories do you think that you could use in a 30 minute speech: 1? 2? 3? I can’t tell you how many times I’ve been asked to create and deliver a speech with very little time to prepare for it. Sure, if we had all of the time in the world we could craft a fantastically worded speech and then practice, practice, practice until we were able to deliver it perfectly. However, when fate does not give you much time to prepare, effective public speakers know to turn to their old friend for help – the number 3.